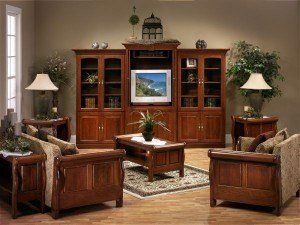 When it comes to furnishing your home, there are many reasons you should consider Amish furniture. The building process means the resulting pieces withstand the tests of time. The creation is a time honored tradition that cannot be matched by any tool. The furniture that comes from the process is the type of durable, high quality and beautiful work that can be passed down for generations to come. How it is done is really quite amazing. We here at Amish Originals Furniture company know this, firsthand. That’s because we work directly with more than 70 Amish families in the Northeast Ohio communities to be able to offer you, our customers, the finest Amish furniture available on the market today. 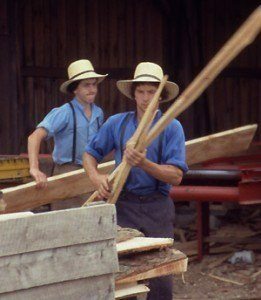 The beautiful thing is, the same respected work goes into each and every piece of Amish furniture crafted. It starts by selecting the best in quality, solid, American hardwoods. The lumber used is kiln-dried, for the finest of furniture building materials. The men who build these pieces are up and working before the rest of us have even rolled out of bed. They spend their days sawing, sanding, dovetailing and fitting the wood. This is what gives the lumber its shape for what will result in the finished piece. The quality of work really is unsurpassed in craftsmanship and quality. The detailing and construction cannot be matched by even the best of tools. There is no need to settle for assembly line manufactured furniture for your home when you can find and afford such unique works of art. That’s what you get when you shop for Amish furniture to fill you home furnishing needs. The final result is a stunning and sturdy piece of furniture your entire family will enjoy. These pieces are so brilliant; they will easily be enjoyed as family heirlooms for generations to come. When you need to find your supplier for the finest quality Amish furniture, look no further than Amish Originals Furniture Company. Our showroom, located in Westerville, Ohio, will blow you away with the greatest selection and more than affordable pricing. One of the best things is that you get to pick the details for your furniture. Choose from the finest woods and finishes, whatever it is you like that matches your style and home décor. Then, you’re furniture is custom made. You truly are getting an “Amish original” when you shop Amish Originals Furniture company. Not only that, while shopping for your Amish Furniture, you are guaranteed to get the best customer service to help you with your shopping. Whether you need advice, have questions or are ready to select your pieces, woods and finishes, our courteous and knowledgeable staff will help you with your furniture shopping needs. Just think, when it comes to shopping for Amish furniture, we have every room covered, including the outdoors. This includes furniture for the dining room, living room, kids room, home theater and so much more.